Enjoy great discounts & Valuable Bonuses! Become an Independent Business Owner NOW! 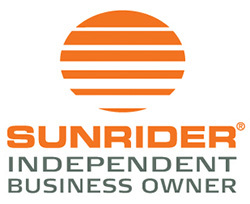 Why Should You Become a Sunrider Independent Business Owner? Sunrider was established in 1982, and now operates in nearly 50 countries and regions. Headquartered in Torrance, California, Sunrider is a financially stable company. Sunrider’s owners and founders, Drs. Tei-Fu and Oi-Lin Chen, lead a team of scientists to research, develop, and self-manufacture over 400 health and beauty products in Sunrider-owned state-of-the-art manufacturing facilities. Sunrider provides the best compensation plan in the business. Your upline’s example and training and your own effort and performance will enable you to achieve your financial goals. It’s a simple, easy, and exciting plan that begins to pay from the day you start. Sunrider provides excellent training tools to help you promote the business and products and to sponsor and train others. No initial start-up or operational costs. All you need to do is to buy a Sunrider® Starter Pack. No need to carry inventory. Sunrider has many successful IBOs who are living the lifestyle of their dreams—you can too with Sunrider! Become an Independent Business Owner NOW! Click Here!